There's no substitute for a bright, dependable light source when you need it. Browning comes through with their Blackout flashlights, built to last a lifetime and to take any abuse you can dish out! There&apos;s no substitute for a bright, dependable light source when you need it. Browning comes through with their Blackout flashlights, built to last a lifetime and to take any abuse you can dish out! Powerful Cree XM-L white LED that never needs replacing produces 600 lumens. 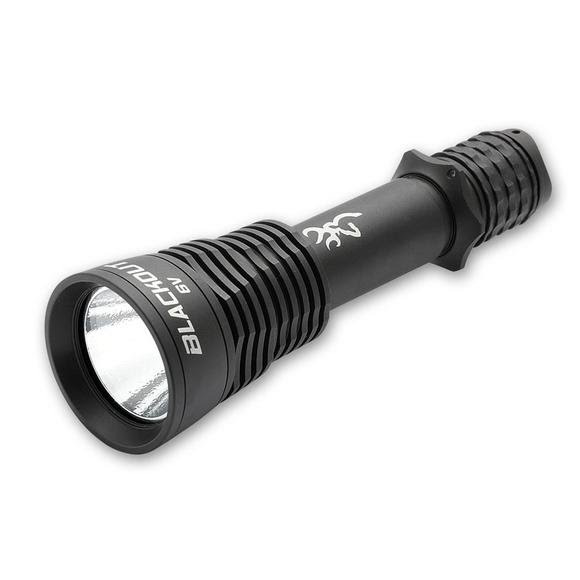 Lock-out tailcap switch with momentary, continuous and fast strobe modes. Non-slip body and finger retention ring. All-aluminum body construction with optically clear scratch resistant glass lens. Drop tested to 1 meter. Incredible 36 hour run time on low output. CR123A batteries operate to -40¡ F and have 10 year shelf life.